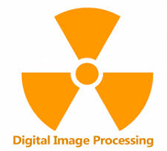 Digital Image Processing (DIP) is used to manipulate the digital images with the help of digital computer. This tutorial provides an easy and practical approach while practicing the algorithms used in digital image processing. Once you practice this tutorial, you will get at moderate level of expertise to go to the next levels. This tutorial is useful for the beginners to know more about DIP and implement the basic to advance algorithms of digital image processing in java. To learn this tutorial one must have a basic knowledge of digital image processing and Java programming language.